There is enough information on the interwebs to have at least a basic discussion of The Elder Scrolls Online combat. For those who don’t know, I can tell you right now that ESO combat is not at all what we expect from a typical MMO, although it doesn’t exactly play like the single-player versions of Elder Scrolls games either. For a long time, I’ve been itching for a highly interactive and highly skill-based combat system in an MMO. Until recently, we have been restricted by inherent issues of playing online, like bandwidth. But over the last couple of years, we have started to see games that are so dynamic that we literally have milliseconds to react to a given stimulus — there’s no more gameplay with a turn-based-cooldown system. This does raise some concerns for the traditional MMO gamer: Will we be able to adapt? We started hearing rumors about the ESO combat system last year, and I admit I was both intrigued and scared at the same time. We found out that we would have only six abilities on our bar at the same time, and very recently we learned that our primary abilities will be on our mouse by default. What? That doesn’t sound like an MMO. My MMOs have 12 quick backs with 36 abilities on each bar. I have 26 cooldowns and 64 possible procs that I have to be aware of. (That might be a slight exaggeration.) Even in games as recent as Guild Wars 2, which has a limited ability bar, give us a wide variety of abilities and cooldowns to watch. There are only a few games that appear to contain similar gameplay to ESO, most of them single-player games or dungeon crawlers. The game that immediately comes to my mind is Neverwinter by Cryptic. (Personally, I don’t consider Neverwinter an MMORPG because of how far removed a lot of the mechanics are from a traditional MMO, but there are some very smart people who disagree with me.) In Neverwinter, your primary and secondary attacks are on your mouse. Your special attack abilities by default sit around your WASD keys — for example, Q, E, and R with the 1 key being your daily. But your primary ability in The Elder Scrolls Online is on your left mouse button. If you hold down the left mouse button for a few moments, it charges the primary ability so that it hits harder. The right button blocks, either with a shield or with your secondary weapon. If both buttons are pressed at the same time, your stun break will activate. Your six special abilities, I assume, will sit around the WASD keys. ESO also has a dodge mechanic like the Trickster Rogues of Neverwinter and all classes in Guild Wars 2. We are MMO gamers, right? We are always looking for the next great game or game mechanic, right? I have to wonder whether this kind of sweeping change to gameplay will turn off some traditional MMO gamers or excite them because of how different it is. My guild has mixed feelings about this turn in MMO mechanics. One prominent member of my current raid group will not play Neverwinter because the mechanics are so far removed from what he’s used to. He doesn’t believe the game is bad because of it, but he’s not sure that he can play a game like that. I respect that, and I agree that it does make this game different. Is Elder Scrolls spearheading a different genre here? Personally, I look forward to these changes, especially since the game is viable in third-person view. One of my biggest turn-offs in Skyrim was that the third-person view wasn’t nearly as smooth and practical as first-person. Yet at the same time, ESO will have its own first-person view as well. I’m interested in seeing how this plays out in extended, long-term game time. 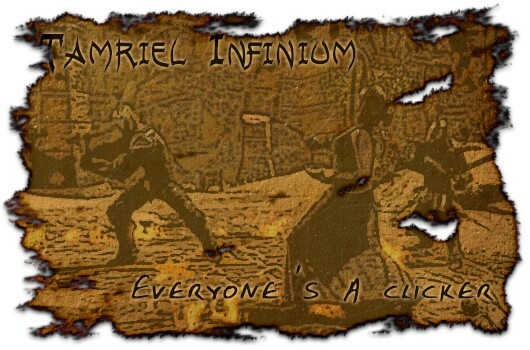 I hate to point out the same site two weeks in a row, but I have to give this week to Tamriel Foundry again. These awesome peeps have gathered up all the Pre-E3 coverage of TESO and smooshed it into one article, complete with fresh screenshots and video. Hop over there now to check that out, and if you’re not doing so yet, follow these guys on Twitter so that you can keep up with the latest happenings. I was surprised by the debate that last week’s article spurred. 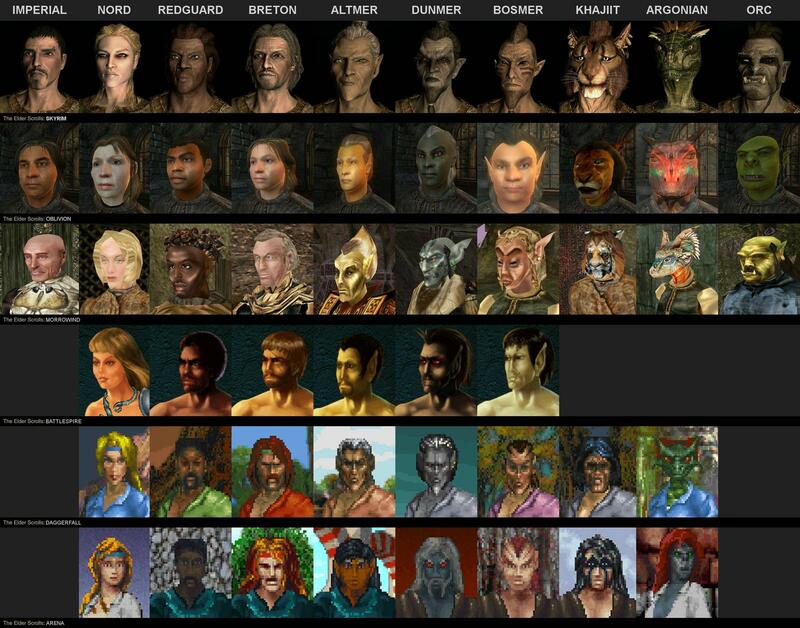 Most of it revolved around the quality of character models. I disagree with reader Natecantbefound, but I can certainly agree with his perspective. He said, “It is sad how MMOs are using store-bought engines or however you want to say it; they will never be as good as an engine specifically made for your game. WildStar will prove this, so will ESO but in a different way.” I think that cookie-cutter games stem from the lack of imagination, or more to the point, the lack of funding from some developers. Some designers can take an engine like the Unreal 3 engine and make Bulletstorm, and others can take that same engine and make DC Universe Online. If ZeniMax is still using a heavily modified version of HeroEngine, then I suspect that we probably will not recognize it — as least not mechanically. This week, I want your personal take on the combat mechanics. Who do you think will be most attracted to this style? Do you believe MMOers will be turned off? Or do you believe this might be the change they are looking for?